One of the great things Android smartphones and smartphones in general bring us is the Internet, right there at out fingertips. And one of the great things the Internet brings us is the ability to connect to each other. Thus, chatting apps like Whatsapp and Wechat are among the most popular apps people download and install on their smartphones. 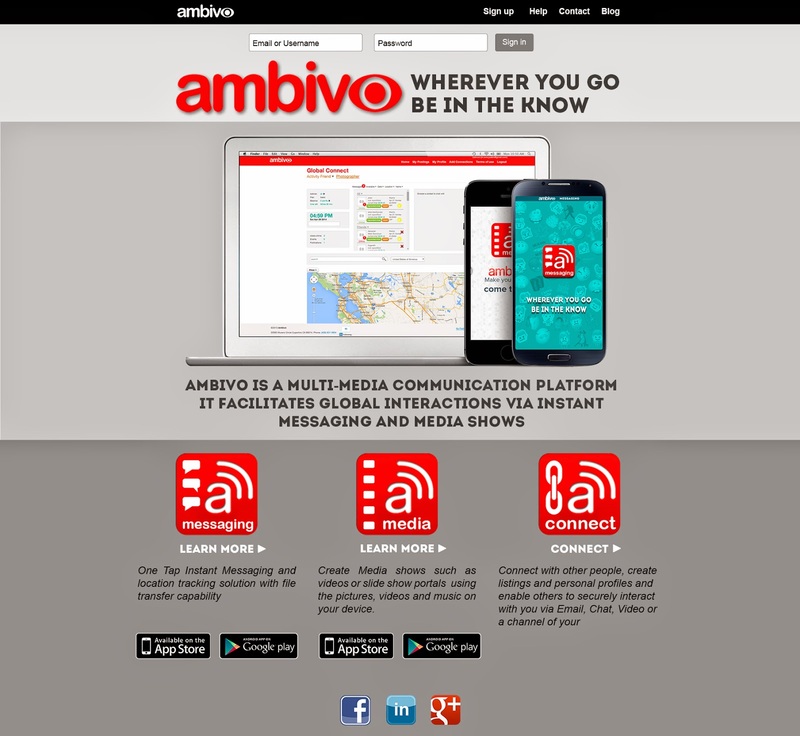 Enter Ambivo Messaging, yet ANOTHER mobile chatting app. The question that begs to be asked is: What does Ambivo Messaging has to offer other chatting apps don't? Actually, Ambivo Messaging really does things no other chatting app does. First and foremost, it has a location based chatting called Street Chat, allowing users in a fifty miles radius to engage in community discussions. Another unique feature is Postings, a way of location based interaction where users can post ads, events notifications and almost everything they want, even sending each other eCards or electronic coupons. Yet another interesting feature is the option to use the app without registration and interacting with other users anonymously. Of course, the fact Amvico Messaging is also available as a web application on a desktop or tablet makes it that much more appealing. 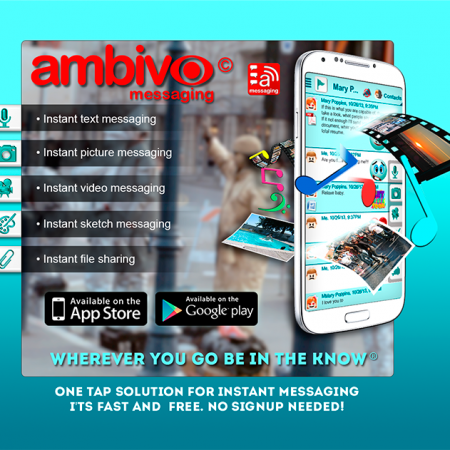 In conclusion, Ambivo Messaging is chat app with gorgeous graphics and a LOT of useful features, from file sharing to multimedia sending, to working without registration, rich security and privacy settings to protect your identity, group chat, postings, offline messages and of course, no hidden costs and charging. These features, along with many more we hadn't counted (sending eCards, events, locations based postings and much more) all come together to create what is undoubtedly one of the best chat apps today.